If I give you the equation e = mc2, you wouldn’t normally think “Christmas”, would you? Yeah, me neither. 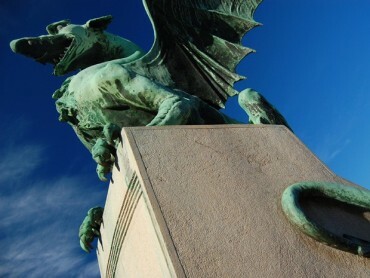 Until my stroll through Ljubljana city centre a few days a go, that is. 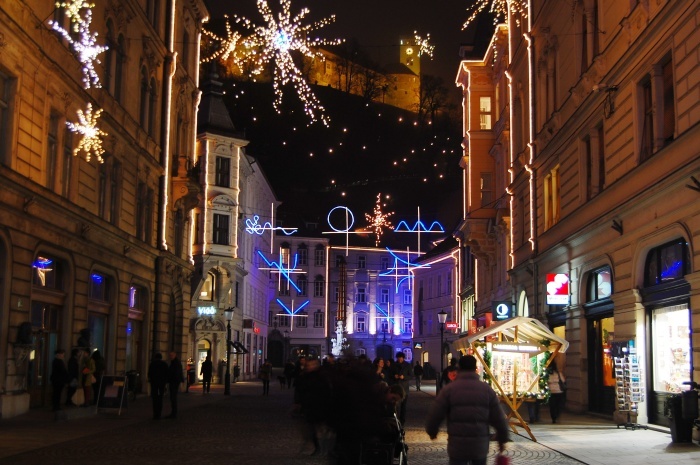 Ljubljana’s holiday light installations include contributions by artists, which has for the past few years been Zmago Modic. This year’s theme is “Toys of the Universe”. Having a theme unconnected to Santa Claus, Rudolf or indeed any Christmas story makes for an interestingly decorated city center and makes a stroll through it all the more enjoyable. 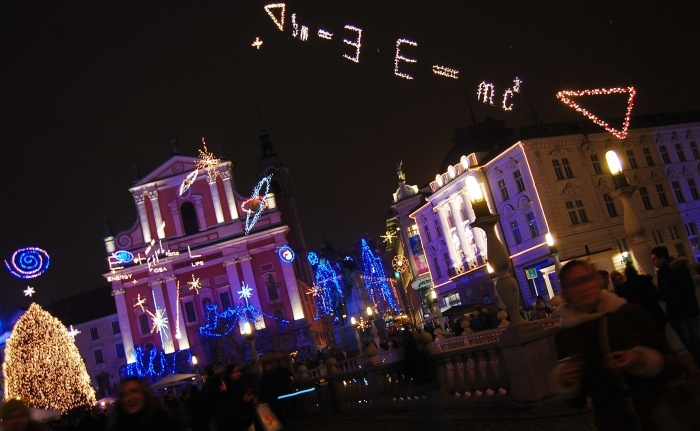 The first lights I noticed upon coming to Prešernov trg (the main square in Ljubljana) and Tromostovje (The three bridges, right next to Prešernov trg) was a large sign spelling “e = mc2”, the formula representing the conservation of mass and energy, as first developed by Albert Einstein. Close to it, there is another equation, “E + I = L”. Now, I paid attention in Maths but I don’t recall this particular formula. 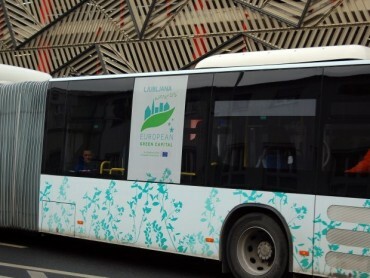 Under it, however, there is an explanation: “Energy + Idea = Life”. Ljubljana city centre has a great coverage of WiFi, which is free to everyone up to an hour a day. So of course, I made good use of it and quickly did a Google search on the meaning of this particular formula. These are the artist’s remarks on it: “Energy works in all directions but in most cases it works linearly. If we add ideas to energy, it begins to behave differently. That is the central message of this year’s theme”. Intrigued by this concept, which was at this point quite literally hanging over my head, I decided to move on and see what other decorations the city has to offer. I found other Maths-themed ones such as hyperboles, parabolas and various shapes, often used in geometry. What I like about this set-up is that it can be enjoyed by everyone regardless of whether they’re a fan of Maths or whether they are familiar with certain mathematical concepts. To complete these nice views of the decorations reflected in the Ljubljanica river, the Ljubljana Castle itself is lit with changing-coloured lights. It was a little foggy at the time I was there so I only saw a blurred shape of the castle but rather than worsening it, I thought this actually added to the view. 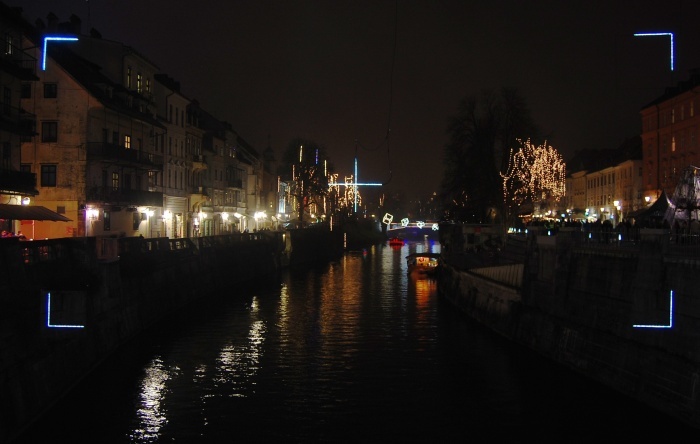 The lights itself, although quite a sight to be seen, are only half of the experience of Ljubljana at Christmas. 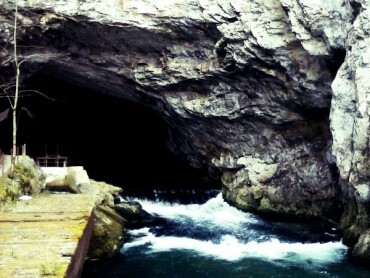 The other part are the stands, situated on the river bank. 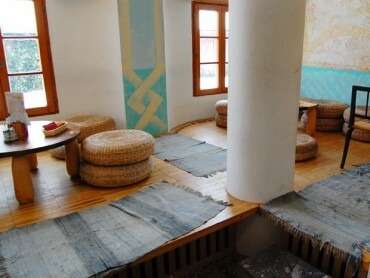 The stands serve roasted chestnuts, caramelized nuts, pancakes, hot dogs, burgers, kebabs and other similar foods. The most popular order on most of the stands, however, is mulled wine, which is what I decided to try out. 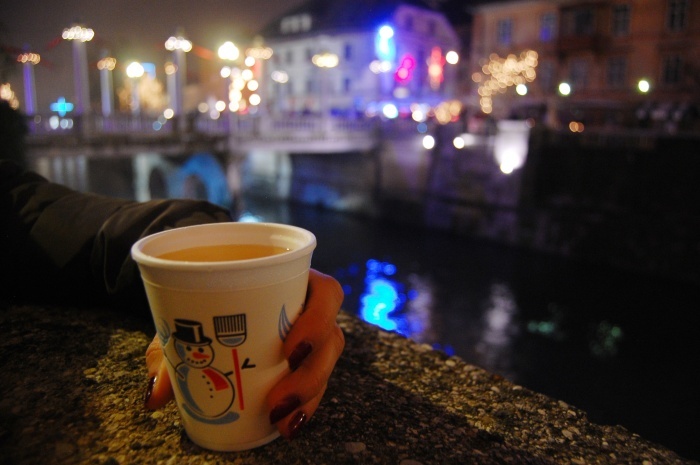 Although the evening wasn’t particularly cold (considering it was only a few days before Christmas), I still felt a bit chilly and mulled wine (“kuhano vino” in Slovenian) seemed like the perfect fit. Having had wine central to their everyday life, the Romans are counted as the first to have written about wine as being mixed with spices and heated. Nowadays, mulled wine is popular all over the world and is usually consumed in winter but specifically popular around the Christmas holidays (in countries where Christmas is indeed a holiday). Spices added to the wine differ from country to country but they will normally include nutmeg, cinnamon, cloves, orange or lemon peel and star aniseed. Hot mulled wine in hand, I continued with my stroll through the city center and soon came upon what was to be my favorite decoration. The lights are arranged so as to imitate the lines usually seen when looking through the lens of a camera. Being something of a camera enthusiast, I have to admit I spent quite a bit of time leaning on the fence of the bridge, admiring these particular lights, which are hung directly over the river. Although some decorations seem to follow a theme other than Christmas, these decorations are indeed some of my favorite ones. I would credit precisely these seemingly out of place light arrangements with creating a sight truly worth seeing. Having seen many a city cent re lit up, I rarely find novelty in such Christmas light arrangements but Ljubljana city center has certainly gone out of its way to shed a unique light on Christmas decorations.